There is one specimen block included (10x4 1/8 x2 1/8in.). The specimen is preserved and encased in clear resin material. It can be observed from every side to see details. 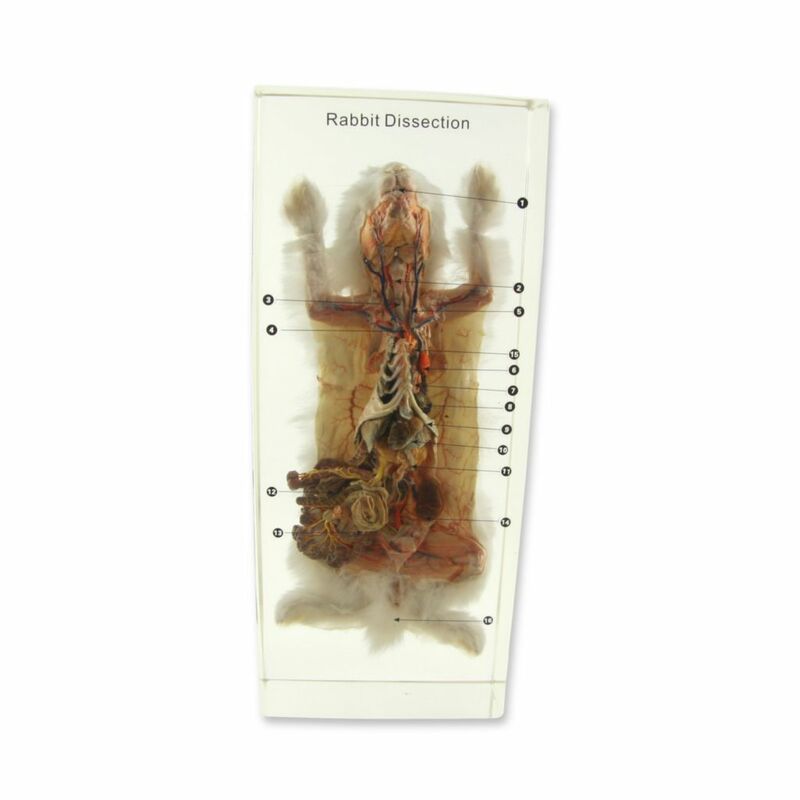 The specimen is a rabbit (Lepus sinensis). Teacher information guide, student activity sheet, and answer key are included. Size of product is 12.6x6.0x4.0in. Note: Ward's preserved rabbits are a byproduct of the food industry. 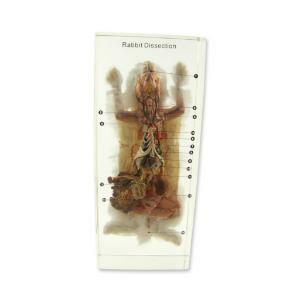 Rabbits are not raised specifically for dissection. These animals are "recycled" for educational use.